MRP does not offer access to attorney representation in North Carolina. A: 81986 513-C White Oak St.
A: 81425 236 N. Mebane St.
A: 81665 318 Craven St. Web: www.financialpaths.org 773 Sanford Ave. Web: www.tfsnc.org 3937 Western Blvd. For the most current list of HUD Approved Foreclosure Avoidance Counseling Agencies in North Carolina, please visit the HUD website. Initial Public Notice: Notice of Hearing. 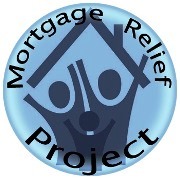 Estimated Foreclosure Process Period: 110+ days. First Notice to Sale Time Period: 25+ days.